Use Kodak Photo CD to TIFF without any problems. You are here: CoolUtils > Mbox Viewer > Use Kodak Photo CD to TIFF without any problems. With the help of CoolUtils' MBOX Viewer you'll be able to locate, view, and print your MBOX files. If it's your first time using the program, don't worry - our user-friendly interface will guide you through the process. If you already know the location of your MBOX files, working with them is as easy as point & click. You can even perform searches based on field-specific criteria. For example: sender, subject, date or recipient. 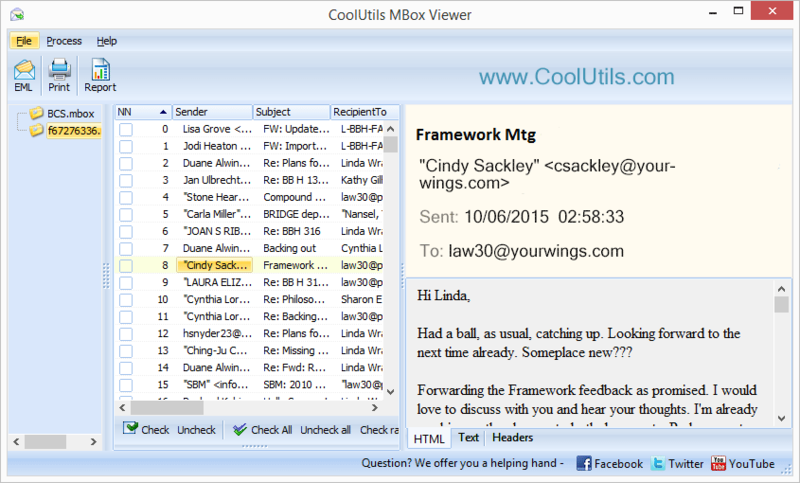 Our free MBOX Viewer is even able to work with your MBOX email attachments; a claim not many other viewers can make. Additionally, we've added a variety of functionality that helps you get the most out of time spent sorting through your old MBOX files. Read MBOX emails that are otherwise inaccessible. Access any Berkley MBOX mailbox (Entourage, Eudora, Thunderbird and more). Batch function lets you work with hundreds of emails at once. 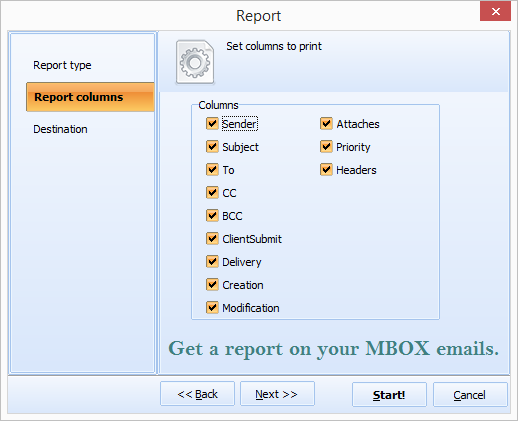 Generate reports about your emails; save as PDF, CSV, TXT, XLS or HTML. 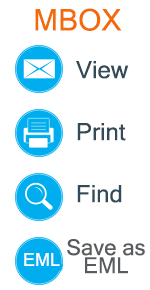 Print emails from within the viewer for efficient workflow. 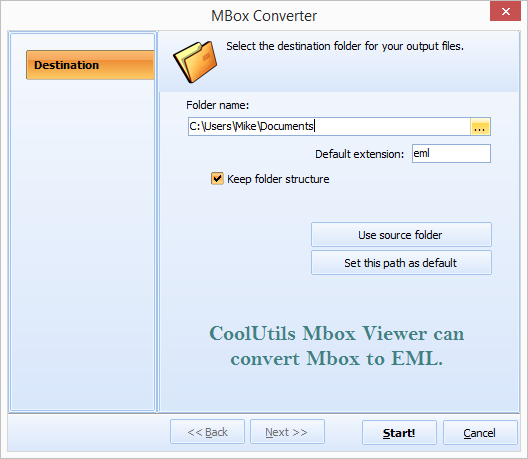 Save MBOX files as EML for export to Windows Mail or Outlook Express. The next time you find yourself staring at a bunch of confusing, concatenated MBOX files, let us help you make sense of it all. The MBOX Viewer's flexible design and ease of use will have you glad you gave it a try. Download your FREE copy today; no ads, no toolbars, no paid versions - just one very cool tool. We're able in part, to provide users with our award-winning software because of their thoughtful feedback. We want to hear from you! Once you've used the MBOX Viewer a few times, let us know what you think. You can follow us online at Facebook, Twitter, or visit our blog! How to view MBOX files freeware?